Please contact the QuiltNSW Webmaster if you require assistance. PS: If you downloaded the button code from previous years, you will see that it has been automatically updated to display the 2018 button - no further action required! 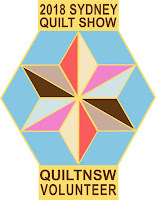 QuiltNSW encourages all members to volunteer and be part of the happy team presenting the Sydney Quilt Show. You do not need to have entered a quilt to volunteer. We especially need volunteers for Saturday and Sunday. All volunteers receive a volunteer badge as a reminder of this fantastic event. Help us plan by completing the Online Volunteer Form or Volunteer Form (PDF) by 30 April 2018. Glenda Wise is the guest presenter for our April Friday Showcase. 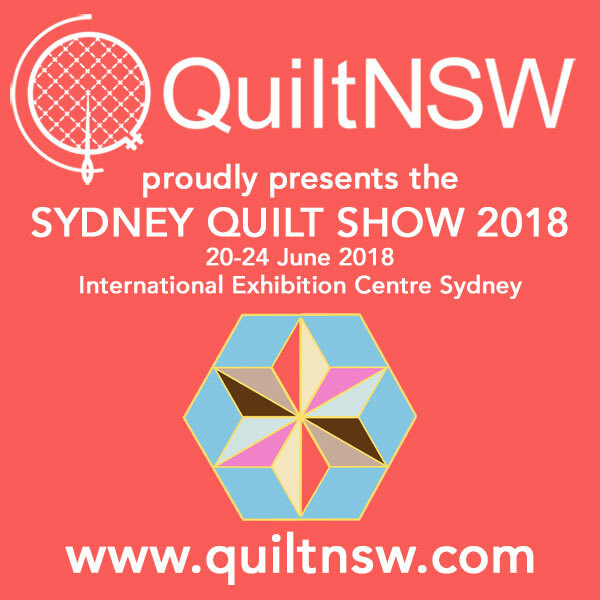 Glenda is a very active member of Illawarra Quilters, having held a multitude of committee positions and devoting much of her time to organising and sewing charity quilts. 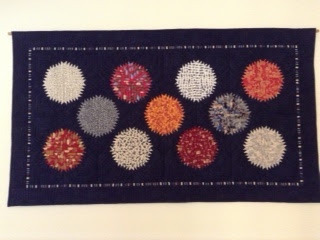 Her keen interest in entering annual challenges has led to her gathering a treasure trove of special quilts. A love of learning new techniques and attendance at many classes have allowed Glenda to branch out into many styles of quilting and the quilts she will share with us will demonstrate her skills in both hand and machine piecing, appliqué and quilting. Friday Showcase is held on the first Friday of most months at our QuiltNSW office, 276 Pitt Street, Sydney, close to Town Hall Station. Glenda’s presentation this Friday, April 6th, starts at 10am, with an entrance fee of $5 for members and $10 for guests.